Feb 21 - 24, 2019 Register Today!See GWGF in Action! If you have purchased an athlete’s pass without the discount, we can refund the difference for you! Here is the updated, V3, TENTATIVE session assignments GWGF 2019! We may have some small changes, but this should be pretty close@ If you’re missing from a level, or in 2 places at once. don’t panic, please let us know, and we will fix it! No worries! Please check the updated links on our site for the Parent Packets & the Coaches Packets! Check here for upcoming news as we grow closer to GWGF 2019!! Have you registered yet?! 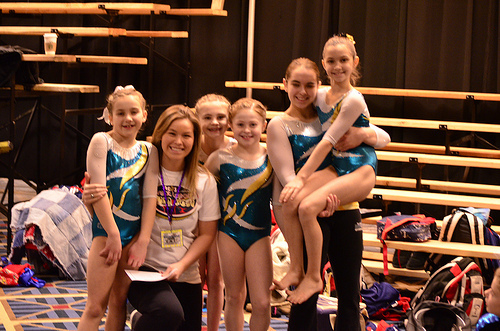 Consistently rated the most fun, athlete AND parent friendly meet. 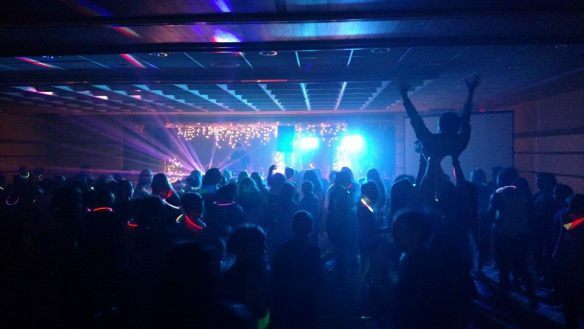 One of our coolest events is the “Midnight Dance Party” for the athletes, featuring :“kid-friendly” buffet, beverages, “glow in the dark” bling, the best DJs in Coeur d’ Alene, games and tons of other fun, all in a supervised, private setting! The Midnight Dance Party follows the “Big Show” Event finals. Parents, you can drop your athletes off and go and enjoy a quiet dinner or special beverage while your athletes have a great time with their fellow competitors and our party staff! The party runs from 10:00 pm – 12:30am, and is suitable for all ages! As of 2016, we will now ALSO host 200 athletes and their guests to experience our “Ice Cream and Olympians for Breakfast” meet and greet on Sunday in the Plaza Shops! Complete with LIVE DJs, honor guard, and a SOLD OUT crowd every year, each athlete will compete one-at-a-time, while being filmed on our giant big screens (no pressure!) Every finalist will receive one of the coveted GWGF Big Show Medals as awards, and will receive their Midnight Dance Party ticket for FREE as our thanks for qualifying. We also have our “Parade of Olympians,” where we recognize our many Olympians… they then stick around leading the dances during the finals, throwing T shirts, handing out awards and more! 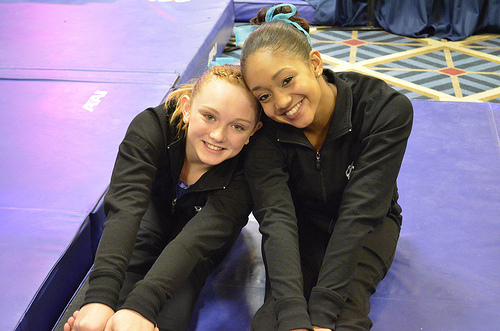 We ask that ALL Level 7, 8, 9 and 10 athletes fill out the Bio information for the Big Show Event Finals, please!! 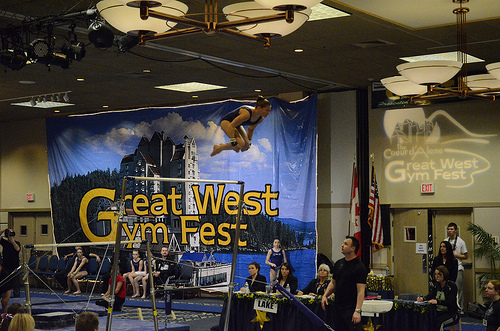 We feel the Great West Gym Fest is the best, most FUN gymnastics competition in the World. 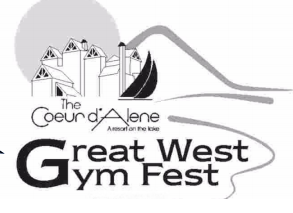 It’s hosted by GWGF LLC and Avant Coeur Gymnastics in Coeur d’Alene, Idaho! Spokane airport is less than an hour away. Our venues are in the wonderful Coeur d’Alene Resort, one of the best hotels in the USA. Tickets for all 2019 sessions and special events will open NOVEMBER 1, 2018! If any tickets are left over we will sell them at the door but many sessions and activities including Big Show Events finals, Ice cream socials, athlete’s dance party etc usually sell out in advance every year. Get yours soon! Volunteer to be part of the coolect meet crew ever! Join us to be a part of something truly special! Cool shirts, free and discounted tickets, yummy food, but most of all, being part of the best meet team ANYWHERE, at the coolest meet ANYWHERE, and really making a difference to 1000’s of our guests! Sign up here to be a part of the coolest meet crew ever! The 2019 confirmation packets for coaches and parents are below! 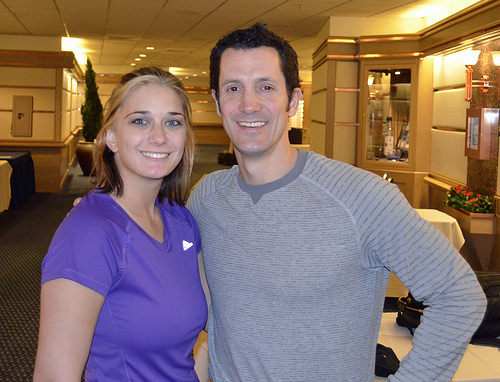 PHOTOS : see GWGF Flickr, GWGF Facebook, or our own Rick Charles’ Flickr! Come join us and be a part of the coolest meet crew at the coolest meet ever! Cool shirts, free and discounted tickets, but most of all, being a part of something really special! Sign up now to be a part of the coolest crew ever! We are asking for your patience and understanding is this extraordinary year, so that we can accommodate your athletes and the athletes from the other gyms! ATTENTION GYMS WHO COMPETED IN 2019’S EVENT! You will have priority in registration for 2020 until April 1, provided there is still space available… At that time, we will begin to accept entries from new gyms for 2020. MAKE SURE TO SIGN UP WHILE THERE IS STILL SPACE LEFT! Attached are the updated, tentative Session Assignments for GWGF 2019! GWGF Session Assignments 2-15-19 Some notes… we attempt to accommodate changes and requsts as best we can. Apologies if we can’t get you your first choice of sessions. If there are teams with XCEL Bronze, Silver, Gold or Platinum, or level 3 athletes that would like to compete on Thursday, please let us know! We thank you in advance for your help and support, not just this year, but over the past few years. It has truly made this one of, if not THE most sought after invitational in the country for teams wanting a special, never-to-be-forgotten meet experience! We have a fantastic group of Olympians, fantastic awards and so much fun in store for you! We will, or course, adjust any ticket issues for the parents, including swapping/refunding as necessary. Instead of reading more about how AWESOME our event is, just click through our video archive!